What Is Your Favourite [video game console]? 1. When considering game libraries, you can only consider games specifically designed for that system - i.e., although a PS3 can play PS1 games, PS1 games cannot be considered in your decision. 2. PC is excluded, as it is not a console. 4. Downloadable titles from older system (such as Virtual Console and PSOne Classics) do not count; however, downloadable titles (like from PSN and WiiWare) do. Now that the rules are layed out, the question is simple - what's your favourite game console? Personally, mine's the PS1... It likely always will be. The nostalgic feelings I get from the early 3D graphics and "CD-quality" sound aside, the PS1 has the best library of games for any console, period. Well - for me anyway. 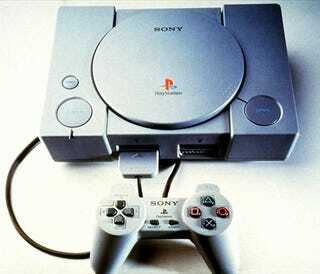 I LOVE JRPGs, Shmups, survival horror and platformers, and the PS1 had those in SPADES. Hell, I'm STILL finding new PS1 games I'm dying to play, thanks to the YouTubes. Many of them are expensive, sure, but only rarely am I 100% disappointed with a PS1 title. Runners-up include SNES, PS2, PS3 and Gamecube.